Are you dreaming of an exotic Mexican paradise that you can call your own? Your dreams can come true with a Mexico timeshare at Pacifica Resort Ixtapa. 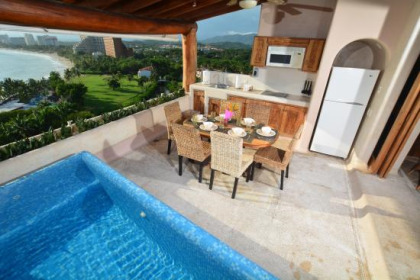 Nestled on the Ixtapa Bay, your Mexico timeshare offers luxury and premium suites with the ability to sleep up to eight people. Suites include beautiful sea views, an abundance of natural light, tile floors, kitchens including microwave and refrigerator along with table and glassware. Pacifica Resort Ixtapa timeshares are available in standard one bedroom/ two bathroom, two bedroom/three bathroom, or premium two bedroom/three and a half bathrooms floor plans, as well as deluxe models which include spacious two bedrooms with three to four bathrooms that include master suites and mini pool. For guest’s convenience, a cable car at Pacifica Resort Ixtapa provides 24 hour transport across the resort property which includes a gift shop, theater, fitness center, spa and six outdoor pools. Six restaurants host international cuisine such as Italian, Mediterranean, and Oriental along with seafood, classic and beach favorites. Spend a relaxing afternoon in the spa with a detoxifying, hot stone massage to rejuvenate the body and improve circulation. Or try a facial treatment to re-hydrate your skin. Get ready for a night out with a visit to the nail salon for a manicure and pedicure. Located on Mexico’s gorgeous Pacific Coast; there’s plenty of beach life and, with inviting year-round temps between 67 and 89F, any time of the year is a great time to visit Pacifica Resort Ixtapa. Learn to surf at Playa Linda (which literally means “Beautiful Beach”) or discover a whole new world below the water’s surface at Playa Quieta. Explore a different beach each day of your visit from your Ixtapa timeshare. Nature enthusiasts will enjoy the ecotourism opportunities including thriving tropical forests and an adventure park that offers paintball and canopying through tree tops. Pacifica Resort Ixtapa is abundant with flora and fauna including deer, iguanas, birds and even crocodiles! If you are looking for the perfect souvenir to remember your Mexico timeshare visit, the Mercado de Artesanias de Zihuatanejo is just the place. Hand crafted pieces created by local artisans fill the shops along with delicacies to savor along the way. Rent a bicycle and pedal your way around the town. One of the best reasons to visit an Ixtapa timeshare is the crystal blue water of the Pacific Ocean where you can find a number of activities to keep you busy. Spend the day riding on a jet ski, parasailing above the sea, aboard a sailboat or scuba diving. Hit the links on the Palma Real golf course. Palma Real is a par 72, championship course set on 171 beautiful acres with many of the fairways running along the Pacific Ocean. In addition to golf, Palma Real also offers tennis and paddle courts. 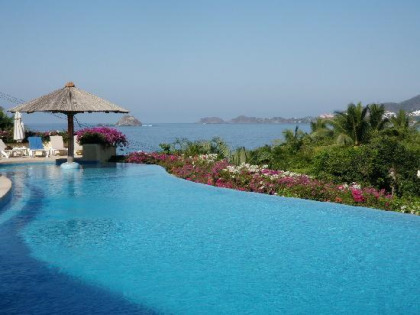 Your dream of a Mexico timeshare vacation is waiting for you at Pacifica Resort Ixtapa. Just click on the For Sale or For Rent tab at the top of the page for the latest in available inventory for this spectacular resort. Make an Offer on your favorite and you’ll be planning your next Ixtapa vacation before you know it. 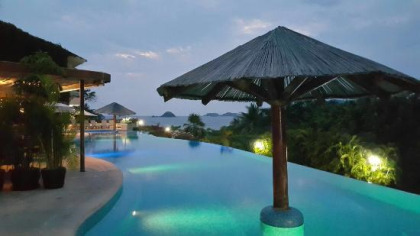 Contact Pacifica Resort Ixtapa Specialist Today! We loved the trip to Ixtapa. This resort is well situated and right on the beach. It is also very close to Zihuatanejo which is a very historic village. The weather was great, the service was fantastic and we seldom left the resort or surrounding area.